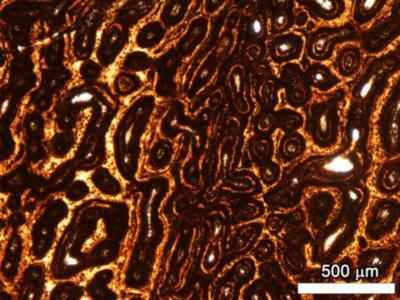 Detail of MOR 005 T16 transverse section showing the banding apparent at lower magnification is due to a localized change in vascular orientation and density. Image used in Fig. 5B of Woodward et al. 2015.